On January 1st, many people make resolutions for the new year, such as to go to the gym every day. 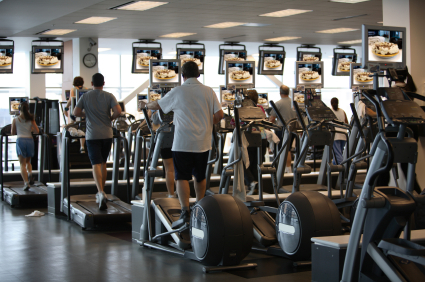 You can’t help noticing that gyms suddenly become much more crowded. But by February 1st, most people have abandoned their resolutions. Gyms become empty. Sometime between January 1st and February 1st, people realize that they don’t really care that much about their New Year’s resolutions. In many cases, it’s because they chose their resolutions for the wrong reasons. This applies not just to New Year’s resolutions, but anything people do just because they think they should. Maybe they think they’re supposed to exercise, so they decide that’s what they should focus on. But regardless of the wonderful benefits of exercise, you won’t stick with it if it doesn’t support something that truly matters to you. This goes for exercising, losing weight, reading, writing, socializing, or anything else. Just because something is beneficial doesn’t mean it’s right for you. And one of the biggest mistakes you can make is focusing on the wrong things. We have to accept that we can’t do everything. It’s not just a matter of time management, although that’s certainly part of it. We have a limited amount of resources such as time, patience, energy, and support from others, and we have to decide how we’ll use our limited resources. We have to prioritize. So decide what your priorities are. Don’t just blow this off by saying you want “happiness” or “success.” That’s far too vague to be helpful. Spend some time thinking about what you really want in life, and be specific. If one of your priorities is “happiness,” fine. What specifically does this entail? What makes you happy? This is one of the most important questions you could ever answer, because everything else follows from this. We know how to eat an elephant: one bite at a time. So be sure that you enjoy your day to day life, instead of doing only what you think you have to do, or obsessing about the ultimate outcome. Maybe you decide that to you, the ultimate happiness is having your own private island. And that’s fine; there are no right or wrong answers here. But remember that the private island is not a priority per se. You merely came up with the private island as a means of pursuing your actual priority of happiness. Don’t focus so much on a goal that you lose sight of why you want to achieve the goal. If your priority is happiness, then your daily actions should support that priority right now, regardless of whether some future goal is achieved. Maybe right now, a cup of hot chocolate will make you happy. By having some hot chocolate now, you’re satisfying your priority of happiness. That doesn’t stop you from working towards your private island, but it makes the journey a lot more fun. If going to the gym every day is not fun for you, maybe you shouldn’t be doing that. Yes, it could bring you terrific results over time, but what is your real reason for doing it? Is it because you want to have a long, happy life? OK, then focus on having a long, happy life. If you don’t like going to the gym, then how is it going to make you happy? It might increase your lifespan, but if you’re spending that extra time doing something you don’t enjoy, then what do you get from living longer? Focusing on your real priorities might give you a better solution than focusing on what you think you’re supposed to do. For example, maybe another one of your priorities is spending time with friends. Maybe then, you and a friend could work out together just a few times a week. OK, you might be breaking your resolution to go to the gym every day, but you’re spending time on what you’ve identified as your priorities, which is what really matters anyway. Because when your life is directed at what matters to you, you can’t go wrong. About the writer: Hunter Nuttall wants you to stop sucking and live a life of abundance. Visit his site to learn how to improve your life and your income. Pingback: Learn by Example: 5 Habits of Successful Entrepreneurs | Learn how you can create a reliable residual income.